The exclusive Hotel Romano “Boutique Hotel” is a real jewel among the monuments of Rome, just in front of the Roman Forum and between Piazza Venezia and the Colosseum. 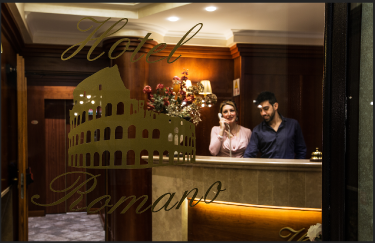 Hotel Romano is situated in the heart of Rome, just a few steps from the Colosseum and the Roman Forum. Recently renovated, this Boutique Hotel offers a variety of comfortable and nicely decorated rooms to choose from. Whether you are travelling for business or pleasure, the hospitality and kindness of the staff will make your stay memorable.